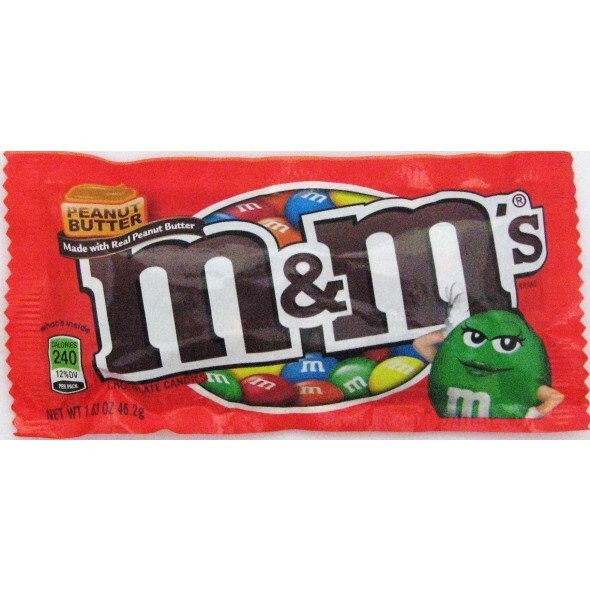 M&M's Peanut Butter - 46g bag of peanut butter flavoured chocolate candy with a crunchy shell. Made with real peanut butter. dextrose, natural flavour, salt, corn syrup, dextrin, colouring (includes red 40 lake, Blue 1 lake, Yellow 5 lake, yellow 6, yellow 5, blue 2 lake, yellow 6 lake, blue 1, red 40, blue 2), propyle gallate to maintain freshness, gum acacia. Allergy information: MAY CONTAIN ALMONDS.